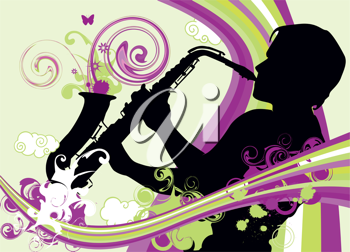 It's International Jazz Day, and as this blog is all about images, the intent this time is to combine music with visual arts. It's a good fit really — both involve artistry, creativity and an obsession for the craft. To paraphrase American psychologist Abraham Maslow, musicians, artists and poets must create their particular art to be at peace. I am acquainted with the creative mind. My youngest child is a musician who studied jazz in post-secondary education. Through him we have met a number of other talented people and have had the pleasure of hearing some wonderful music. What we have noted is that unlike the sheet metal worker, the mechanic, the hairstylist, or essentially any other professional, musicians are happiest when working. For that matter, they rarely stop. They will cheerfully step up to jam with friends when out relaxing. Or, while out for drinks, will gladly take the stage if invited. When our son isn't playing music, he's writing it or listening to it.